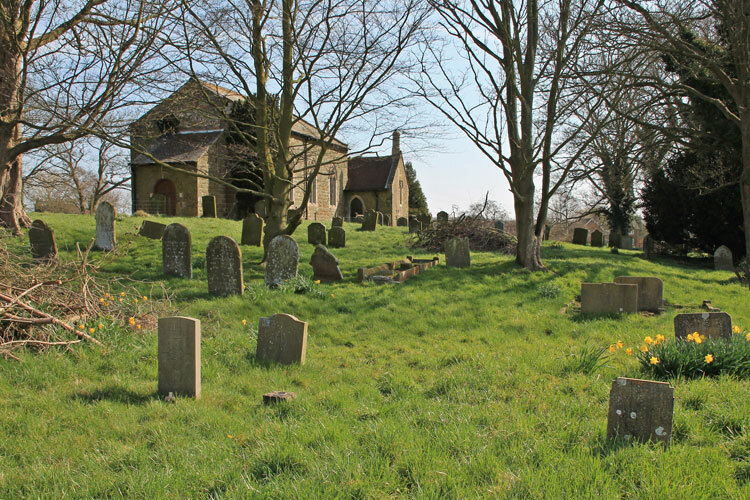 Belchford (Ss Peter & Paul) Churchyard in Lincolnshire contains two Commonwealth burials, - one from the First World War and one from the Second World War. Amongst these First World War burials is one soldier who served with the Yorkshire Regiment. All photos by Steve Drury. 6th Battalion the Yorkshire Regiment, formerly 5/14055 T R Battn. Son of Edward and Jane Elizabeth Dixon, of Hagworthingham, Spilsby, Lincs. Born at Belchford. Died at home 13 June 1918. Aged 19. Born Dalby (Lincoln), Enlisted Louth, Resided Cadwell Top (Louth). Belchford (Ss Peter & Paul) Churchyard. 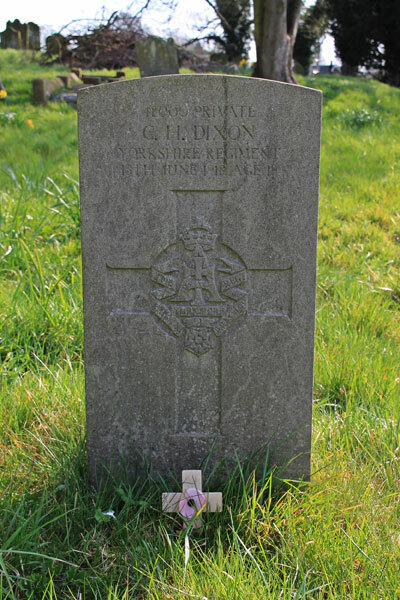 Pte Charles Henry Dixon's headstone is on the left in the foreground.